Ever since launching its operations in Venezuela in 1948, HMC has been committed to solving challenges in the offshore oil and gas industry. Constructora Heerema was established in 1948. This was a small construction company based near Lake Maracaibo, Venezuela. The company specialized in the construction and installation of drilling platforms for oil companies operating on Lake Maracaibo. In 1956, Heerema developed a pre-stressed concrete pile, which led to a successful technical and economic breakthrough. In the following years, Heerema placed about a hundred drilling and construction platforms in Lake Maracaibo and in the Caribbean, as well as a substantial number of concrete piers, quays, and bridges. 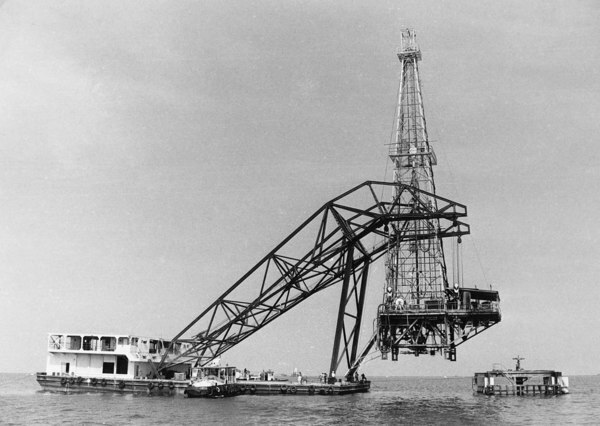 In the early 1960s Heerema’s focus shifted to the development of oil and gas fields in the North Sea – a challenging work environment because of the extreme weather conditions. 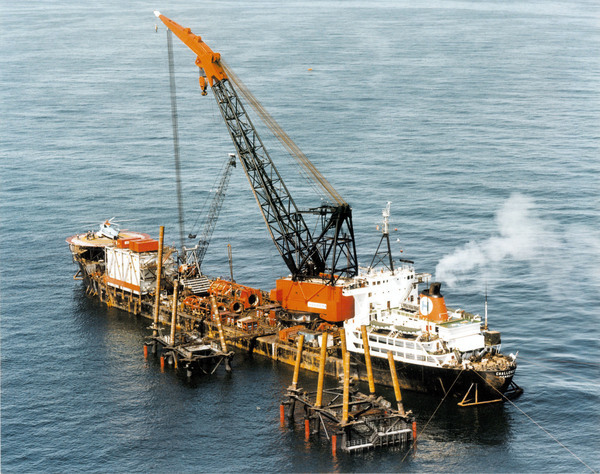 Heerema has been operating crane vessels since 1963. They provided more capacity and stability for the installation of jackets and modules, which were also growing in size and weight. In 1969 Heerema had a capacity to lift 800 tonnes with its ship-shaped crane vessel Challenger – an absolute industry milestone at the time. Soon after that, with the commissioning of additional ship-shaped crane vessels, Heerema’s lift capacity went up to 3,000 tonnes. The use of crane vessels with such lifting capacities made it possible to build fewer but heavier unit, providing an enormous financial advantage to oil companies as it drastically reduced the volume and duration of work. Oil and gas fields could now produce first-oil faster. Crane vessels and barges operating in the North Sea were still quite sensitive to wave action, and this made operations during the winter months virtually impossible. 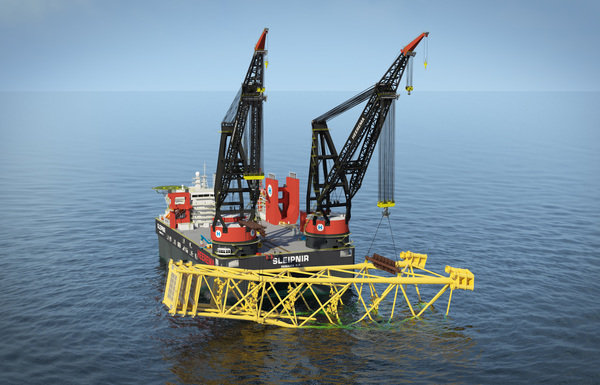 To increase heavy-lift capacity and operability in the North Sea waters, Heerema carried out research into the application of the semi-submersible principle for heavy-lift crane vessels. 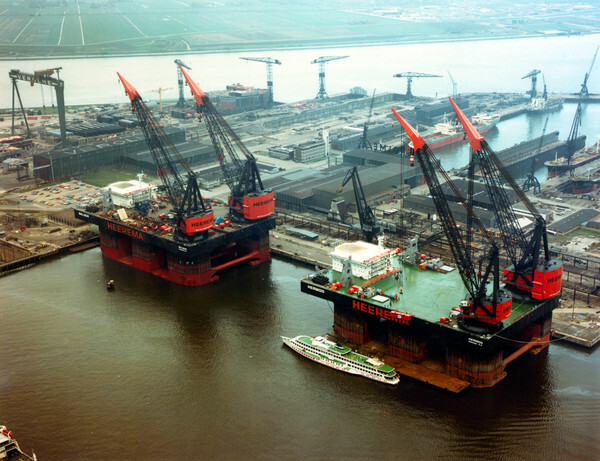 In 1978, Heerema commissioned the world's first semi-submersible crane vessels (SSCVs) – sister vessels Balder and Hermod. Together with an innovative dual-crane feature, this propelled Heerema to the position of the industry leader. Installations that before would need an entire summer season to complete could now be ready in a few weeks. The SSCVs were in high demand in the North Sea and elsewhere at the beginning of the 1980s. Then the low oil prices in the mid-1980s made oil companies postpone investments and the workload thinned. 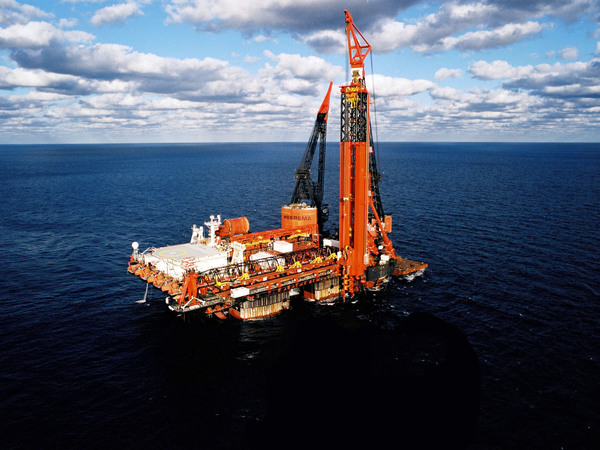 Heerema and McDermott, an engineering and construction company, pooled their key equipment in a joint venture called HeereMac (1989) to stay afloat during this economic downturn. The year 1997 was a turning point in the history of the Heerema Group: The HeereMac joint venture was terminated and operations continued under the name of Heerema Marine Contractors (HMC). Having acquired the SSCV "Thialf" (ex DB-102) from McDermott, HMC now owned and operated three of the world’s five SSCVs. In the meantime, the offshore oil and gas industry began increasingly to focus on developing fields in water depths of up to 3,000 meters. To ensure competitiveness in deepwater installation work, HMC converted the SSCV Balder into an advanced Deepwater Construction Vessel (DCV Balder). The last decade has seen the execution of many unique projects, in which several records were set, more particularly in deep water. HMC has firmly established for itself a leading position in deep-water full field development (including subsea infrastructure), in addition to its conventional construction, installation, and removal services. In 2008, HMC acquired the specialist welding company, Pipeline Technique Ltd., to strengthen its deep-water pipelay capabilities. A new vessel, the Aegir, was added to HMC's fleet in September 2013. The Aegir, a deep water construction vessel (DCV), is capable of executing complex infrastructure and pipeline projects in ultra-deep water. 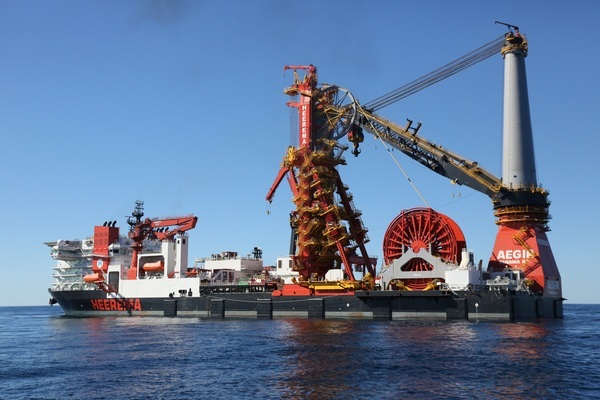 It also has significant crane capacity to carry out installation work in both shallower and deep waters. In 2015 signed a contract for the engineering and construction of a new Semi Submersible Crane Vessel, With a length of 220 meters, a width of 102 meters and two cranes with a lifting capacity of 10,000 tonnes each, the Sleipnir will be the world’s largest crane vessel. This shows our belief in the offshore oil and gas industry and demonstrates our constant commitment to offer unparalleled installation services to the industry.